Homechevron_rightShopchevron_rightSoccerwave Junior. Free shipping. Order now! To be really good at football, you have to practice a lot. SoccerWave Jr. is a football training tool that returns the football with renewed strength- at various angles and heights depending on angle, force and height when kicking the ball. It can be used on its own, in individual training, with others as part of more organised training -or simply just for fun. 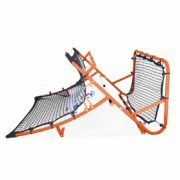 The SoccerWave Jr can be distinguished from an ordinary wall by its graduated varying curvature design that keeps the return unpredictable.The force of the return makes you react in seconds with the same kind of movements required in real game situations. 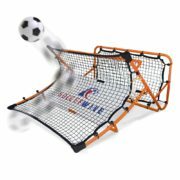 When you kick a ball into the SoccerWave Jr., the pace of the ball determins where the rebound goes -high, low, right curled, left curled, in front or behind you. 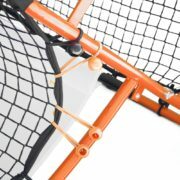 SoccerWave Jr. has also built in kick back panel that allows both sides of the unit to be in use simultaneously. 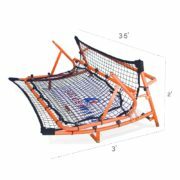 The panel is an excellent tool for ground balls and returns. 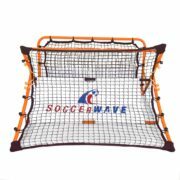 SoccerWave Jr. is also a good alternative to players who are in need of individual practice after injuries. Use SoccerWave Jr. when you want to regain the feel for the ball. 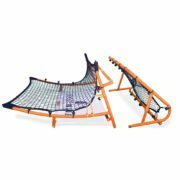 SoccerWave Jr. is as suitable in your garden as on the playing field. You don’t need a lot of space to take advantage of its multiple usages. The dimensions of SoccerWave Jr. are: 111*124*62 cm. It’s light-weight and easy to move, at only 12 kilograms. 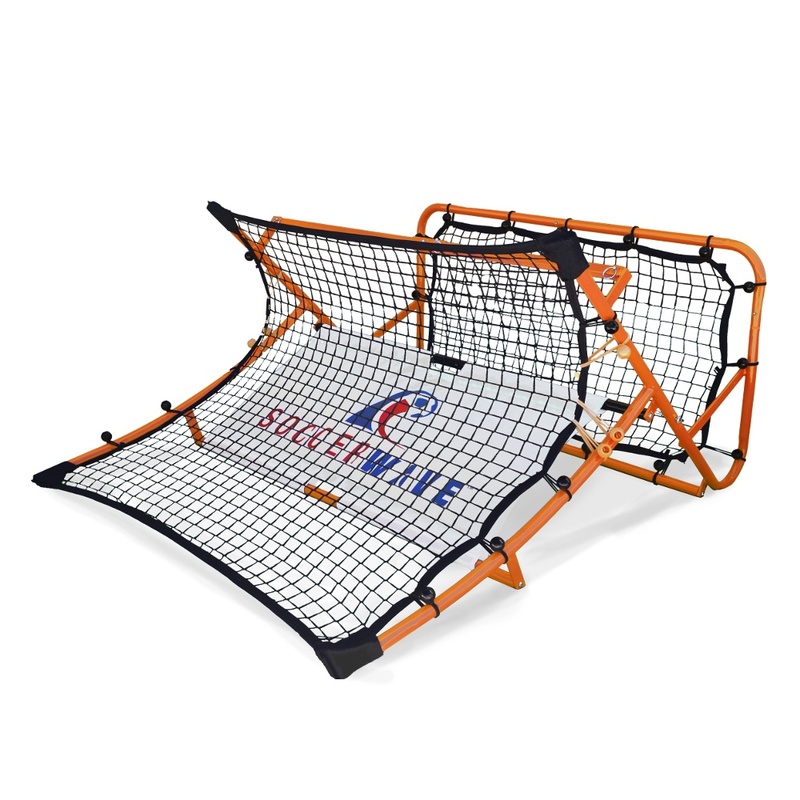 SoccerWave Jr. is comprised of a powder coated steel frame with UV protected nets that are attached to the frame with bungee cords. 1 review for Soccerwave Junior. Free shipping. Order now! Nice to find a product that works for football players! Highly recomended!